Today’s SPOTLIGHT player is PAIGE SLAVEN of Donovan Catholic. She is a player that has forced her way into the spotlight. She is one of those talented kids who was passed over, but could not be ignored because of her performance. She is now one of the best point guards in the Shore Conference and the accolades continue to grow. 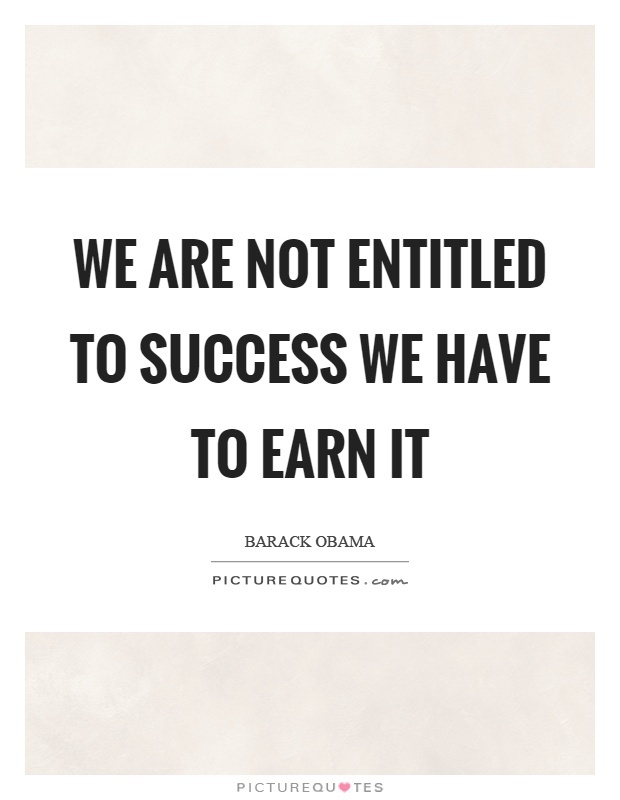 The term “we earned it” is from an old TV commercial in the 80s. Paige Slaven would be the perfect pitch women for that commercial today. Every step of her basketball career, she has earned everything. She has never been given anything along the way. Paige Slaven is a shinning example of letting your game do the talking. It was 4 years ago when she joined the 2020 Shoreshots. She was the least heralded player on the team. She frankly got the least amount of attention and respect. 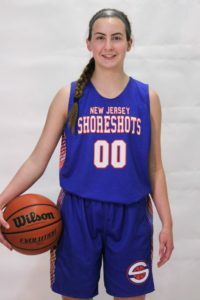 When people spoke of the Shoreshots, in most cases she was the last name discussed. It’s why were she stands today must be so satisfying to her. Because today she is not just one of the best players on the Shoreshots, but one of the best players in the 2020 class period. She got there the old fashion way….SHE EARNED IT… with hard work and total commitment to her craft. Paige Slaven let her game do the talking. When discussing the names of the best players in the 2020 class 3 years ago. The name Paige Slaven never came up. She was like many young players getting ready to enter high school. Not knowing what to expect but hoping for the best. But unlike so many young players, Paige Slaven went on a mission like no other Freshman I’ve seen. 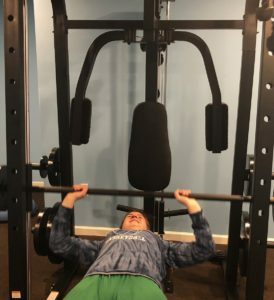 She was in the gym it seems all day everyday. She somehow found time to work on her shooting for hours…to work on her ball handling for hours…attend what seemed every training session that was available. It’s a wonder how she is a honor student. But it was this behavior that caught my eye. It was this behavior that made me start taking Paige Slaven very, very serious. It’s this behavior that should have prepared me for what did happen that summer. 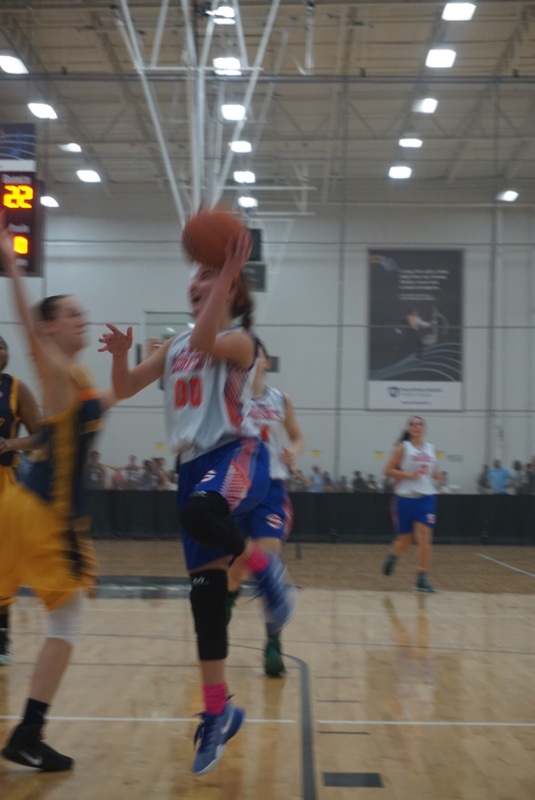 It was at Academic Elite, that I knew Paige Slaven was different. In front of over 70 Coach coaches she put on a show of shows. It was at this event I knew Donovan Catholic was very lucky. Bu they and nobody else knew what would happen next. If you don’t know anything about Paige Slaven know this…she loves a challenge and competition. It why as a freshman she shocked everyone and was named to the HOOP GROUP ALL FRESHMAN 1st TEAM. It may have come as surprise to most. Slaven was far from a household name entering high school. Those in the know tho, where not surprised at all. 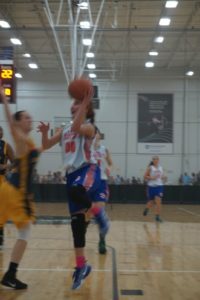 I had seen Paige Slaven blow by some of the best point guards in New Jersey. Her speed when turning corners off screens is Electric. 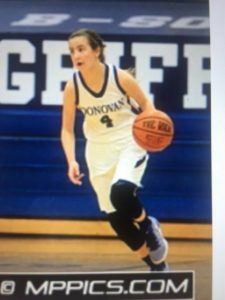 She is one of the best finishers at the rim for a point guard you will see. Her ability to defend ELITE GUARDS is special. While she is almost impossible for opponents to keep in from of them. Slaven goes step for step against some of the best. To call her murder in transition is an insult to the word. Her ability to get to the rim or find shooters is sooooo next level and a rare combination. How rare do you ask? I know of no other guard in the Shore that has this ability to do both. Now roll that around in your head…I SAID NONE. Folks I don’t have tell you the names of the mega stud point guards in the Shore. Paige Slaven has mastered the art of giving and taking when it’s necessary. This past season everyone found out just how important one player can be to a team. In Donovan’s first game of the season vs. Manchester. Paige Slaven, was sick and could play limited minutes. Powerhouse Manchester jump on Donovan and led by as many as 20 points. But Paige Slaven simply when to work on the warriors insanely talent group. She got to lane and created certified mayhem. She got the rim for layups, pull up jumpers and dropped so many dimes, it’s amazing she lived to tell about it. She my friends as Billy Crystal would say was ” marvelous ” The problem was that every time Slaven came out to rest…Donovan Catholic would fall apart. It’s why Manchester won by 4 points in one of the best games in the Shore all season. 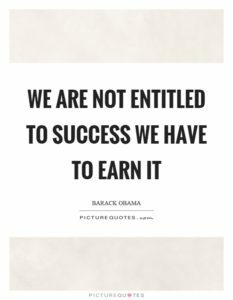 THE SPECIAL ONES….WANT TO EARN IT! Paige Slaven doesn’t look the part of a star guard. I shake my head when I realize she won’t turn 16 until next season. There is nothing about her that makes her stand out. She is not physically imposing. Doesn’t have a big name machine promoting her. There are times people miss read her, when she is upset with herself. 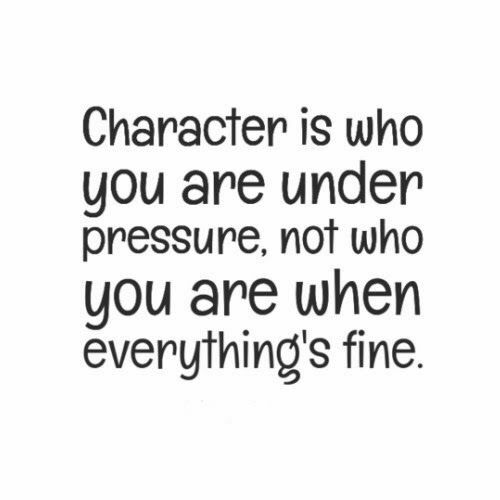 It can’t be easily mistaken for attitude. But if you know her, you realize that she is her biggest critic and expects so much from herself. 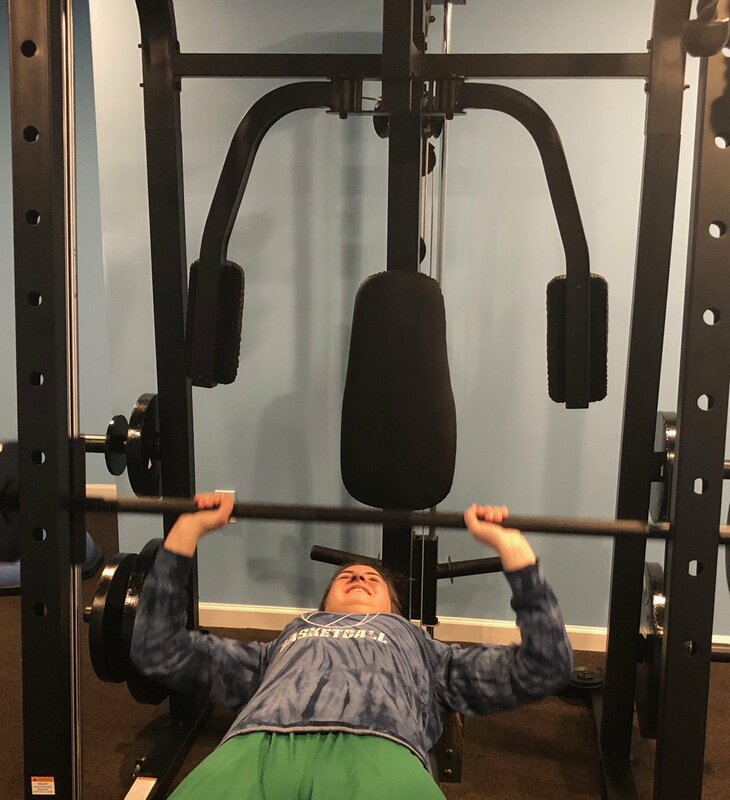 GYM RATS ALWAYS EXPECT MORE FROM THEMSELVES…it why when she puts on her D1 uniform in two years…SHE WILL HAVE EARNED IT.